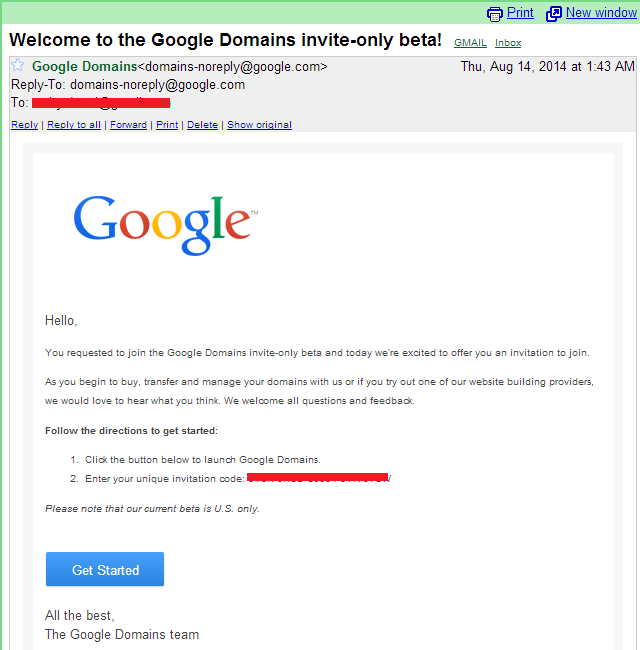 Welcome to the Google Domains invite-only beta! This post title just subject of incoming email arrived in my Inbox. I just got email from Google about my request to join Google Domains. They give me invitation code, so I can activate my Google Domains account. Unfortunately, Google give note that their current beta is U.S. only. I tried the feature of Google Domains. 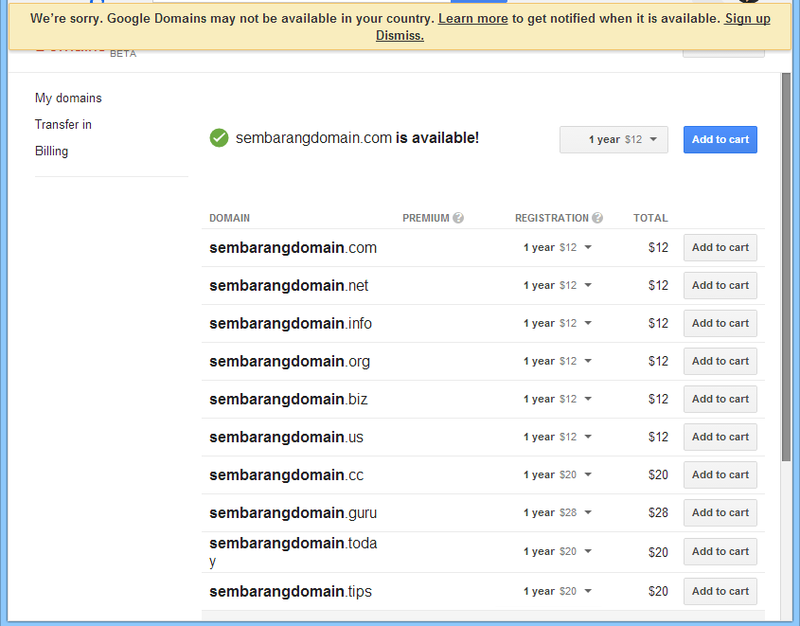 It seems that the pricing for domains at Google is very standard. It’s cost US$ 12 for .com, .net and .org and some domain are US $ 20 and US $ 28. I can’t go further because I got notification from Google about my status. They recognize my origin from payment data in Google Wallet. With that amount of registration pricing, I think Google will beat the competition in domain market. They put the price on average - not too cheap, but also not too high. And it is likely that they will give value-added service with their domain registration service. Google already have domain registration service with Google Apps since few years ago with domain registration pricing is US $10 and integrated their Google Apps domain registration with free email, calendar, online office suite and other.